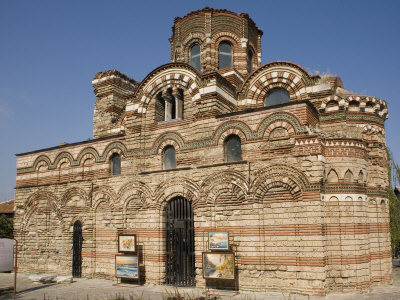 The Church of Christ Pantocrator is located in the popular tourist city of Nesebar, on the coast of the Black Sea. Built in the 13th and 14th century, it's one of Bulgaria's best preserved middle age churches, and on the UNESCO World Heritage Site list. The church can easily be recognized by it's famous exterior decoratins, with a different oramentation on each wall. Today the church is used as an art gallery, and is a very important part of the old city of Nesebar's tourist attractions.